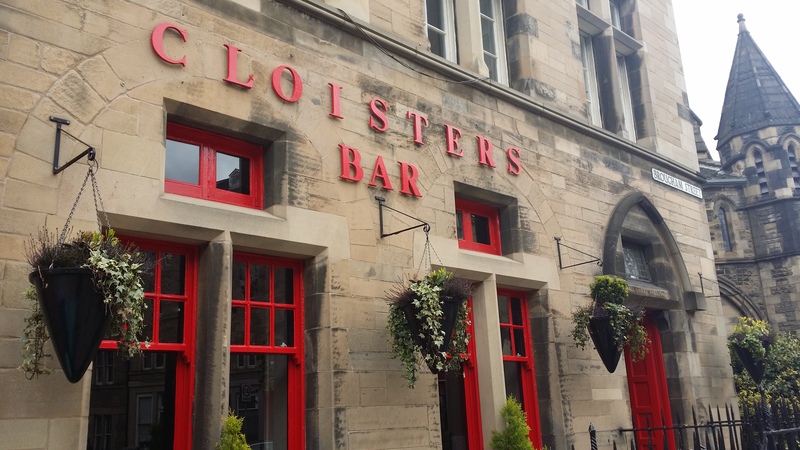 Our Beer Man spoke about his great love of Cloisters in last year’s Guide to Edinburgh, rating it in his top 5 places in the city. We had a pint or two before a beer team night out, a couple of months back and I was every bit as impressed as he was. I made a note to visit to try their food, which prominently features burgers and seafood. It’s a really lovely tranditional pub setting, part of the cloisters of an adjoining church, as the name suggests. Seating in adapted pews continues the ecclesiastical theme. At lunchtime, which is when I was visiting, their classic, cheese and veggie burgers are £6.50 which sounded like a pretty good deal to me. 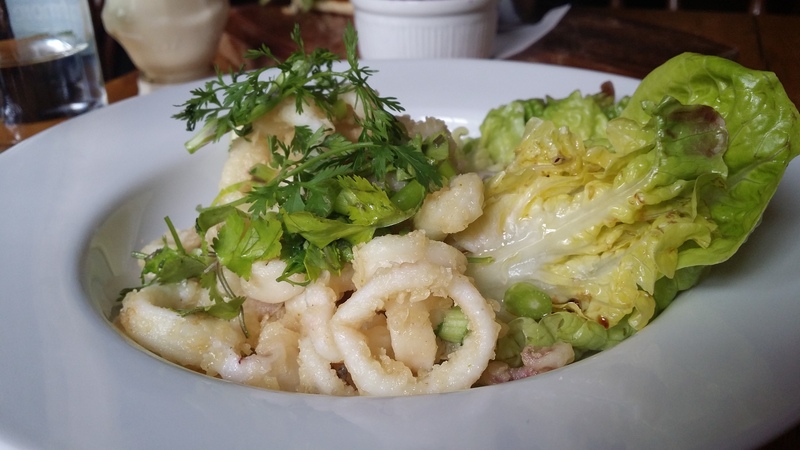 For the sake of completeness, I added some deep fried squid to represent the seafood side of the menu. Dishes arrived together and looked impressively plentiful. 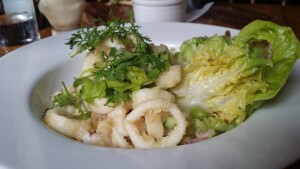 I started with the squid, which looked a little peely-wally but proved to be brightly flavoured and accurately cooked. And there was a lot of it. I was very pleased. 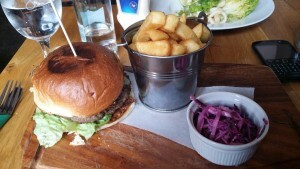 The burger, with beef ground by local butcher John Saunderson from Borders chuck steak, maintained the high standard. It packed good beefy notes, had a nicely soft texture. It was accompanied by good melt and crunch in a brioche bun. The accompanying chips were excellent and the slaw packed a good sulphurous kick. 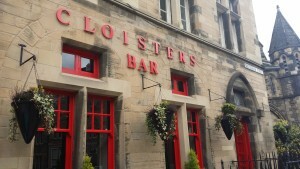 So overall, I was highly impressed with the food at Cloisters. I was served two high quality dishes, with the burger in particular representing very good value. I’d be happy to return again and would recommend you to do likewise.